Better effects and controls + competition this weekend. Best logo results. The first patch has arrived, thanks to your feedback! We’ve added some astonishing visual effects and anti-aliasing, so everything is now smoother and better-looking in our Test Wasteland. We’ve also improved some controls in the shooting mode: the camera now returns to the following mode with a greater delay so you have more time to shoot and look around. Please launch our app on your computers and see a fresh patch available. Keep providing your feedback as it helps us improve the game and address the most painful concerns first. More improvements are coming in the following weeks. We’ve cooked up something interesting for you while you’re waiting for the official alpha release. 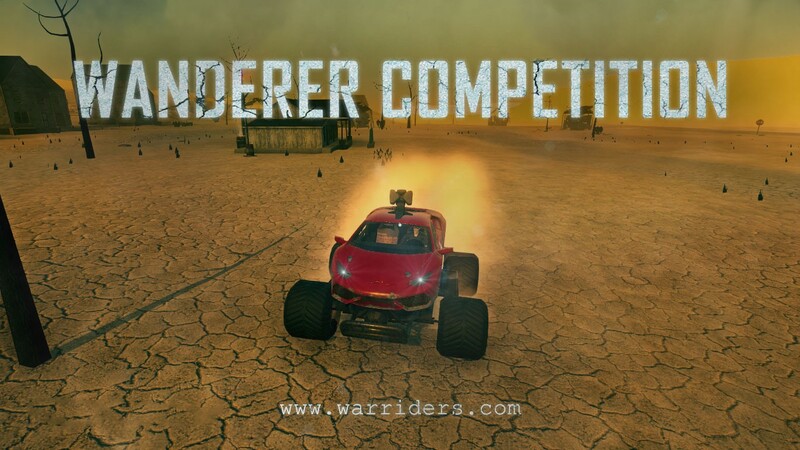 Starting Saturday, March 30, 12 pm EST, you’re officially invited to wander the vast horizons of the Test Wasteland to find a secret vehicle and win BZN! For the next four weeks, every Saturday at the same time, we will be placing a new secret vehicle in a hidden spot in the Wasteland. Whoever locates it first and posts a screenshot to #competition-results in our discord will win 1,000 BZN and a special “Winner” badge. Each vehicle type will have its own secret vehicle placed, and we should hopefully have five winners each week. Not all cars in your garage will see a secret vehicle on a map as our system randomly picks eligible cars. So, if you drove all of your cars and didn’t find anything, you should either try next week (as every week the counter will be reset) or acquire more vehicles from our official presale page. Vehicles from presale are also included in the competition and have equal chances of winning. You’re welcomed to discuss this in our discord or telegram. Thank you for voting for the best logo design. 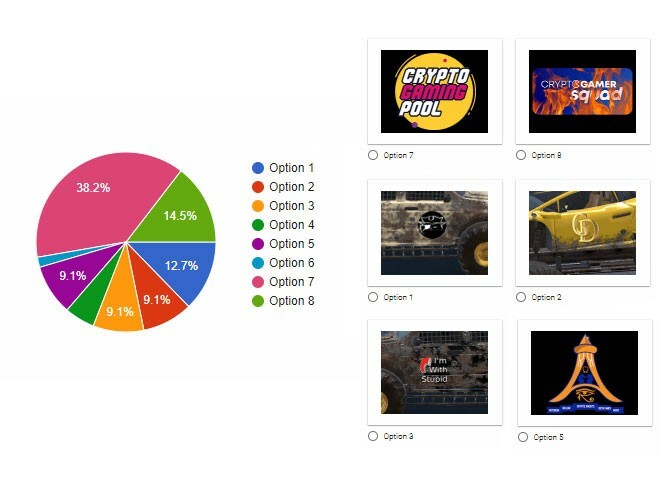 The absolute winner of the contest was Crypto Gaming Pool, with 38.2% of the votes! Crypto Gamer Squad came in second with 14.5% of the votes. CBATBH, Gold Diggers, I’m with stupid, and Kryptic Knights also equally gained the voters’ attention and shared the third spot. We were pleasantly surprised by the number of people who participated! Please keep working on your logos, and let us know if you need help with designs. Stock up with vehicles before the competition this weekend. You can get bundles from here or buy some more vehicles from our official pre-sale page here. Good luck, our fearless riders of war!